With the favorable summer weather and long bright days, many Australians have been taking to the water to enjoy water sports, fishing or a simple leisurely cruise. When planning a trip at sea, fire safety might not be the first thing that comes to mind for boat owners and users, but boat fires are actually quite common. Over the Australia Day long weekend alone ABC news reported two separate boat fires in Victoria. Regardless of the size or type of your vessel, or whether it’s used for commercial or recreational purpose, it’s important to have adequate fire protection equipment on board and keep safety equipment in proper working order. If a fire occurs, insufficient fire protection can expose anyone on board to extreme dangers, lead to injury or damage expensive equipment and assets. Before setting sail, carry out a ‘risk assessment’ of your vessel to ensure all hazards are identified and the most suitable fire protection equipment is installed. With many boat fires caused by electrical faults and fuel leaks, particular attention should be given to appliances, ventilators, wiring and fuel systems. It’s also important to have your craft’s electrical system serviced by a licensed electrician to prevent short circuits or sparks. There is a range of fire protection equipment and systems available, from fire extinguishers and fire blankets to more advanced fire detection and suppression solutions. The fire protection equipment required will vary greatly depending on a vessel’s type and size so if you’re unsure, contact a fire protection specialist who will be able to help you identify what’s most appropriate. Powder ABE fire extinguishers are the most widely used type of fire extinguisher and work by discharging a fine powder that smothers the fire. These fire extinguishers are available in a range of sizes and are suitable for most vessels. Smoke alarms should be installed in cabin and saloon areas, and thermal detection systems can be considered for spaces where machinery is located. If a fire occurs, smoke alarms can help provide the valuable time needed to act or escape so it’s important to perform regular tests and replace batteries as necessary. If there are any gas appliances on board, it’s advisable to provide signage so that users are reminded to turn off the gas supply when not in use. When you’re out in the open water your boat may be the only safe haven for miles around, meaning that in the event of an emergency you could be waiting some time for assistance. It is therefore really important to familiarise yourself with all fire protection equipment and learn how and when to use it. You should also devise a fire escape plan and communicate it to everyone on board. 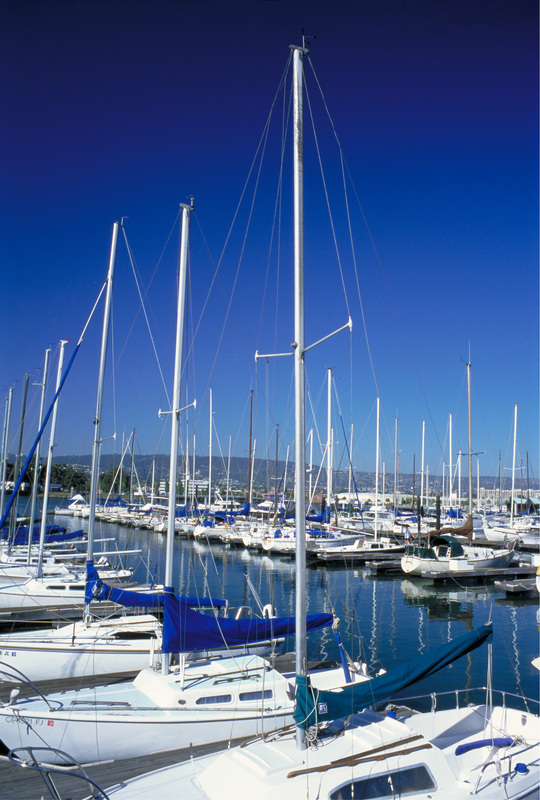 Any fire protection equipment on a watercraft should perform to the standard to which it was originally designed and installed to. You should arrange for regular servicing so that any faults or issues are uncovered that may prevent the equipment from working correctly. For tips on safe boating, NSW Fire Brigade has developed a printable boat fire safety factsheet.